should employ to fix and prevent them. You’ll learn how these metrics relate to one another and to overall VoIP health. 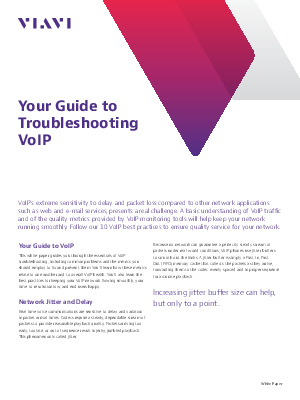 You’ll also learn the best practices for keeping your VoIP network flowing smoothly, your time-to-resolution low, and end users happy.